Clergy Appreciation Month is a special time that congregations set aside each year to honor their pastors and pastoral families for the hard work, sacrificial dedication and multiple blessings provided by these special people. It is typically scheduled in October, but can be held at any time that is convenient for the church and the community. It is also important to remember that appreciation, affirmation and prayer support of our spiritual leaders is appropriate throughout the entire year. Figure out what you can do personally to recognize and honor these leaders. A simple card, an invitation to lunch, a promise to pray for them or an offer to babysit, wash a car or mow a lawn make wonderful statements. Share the concept of CAM with others in your congregation and challenge them to join you in some kind of formal planning. You might consider a special service of affirmation, a potluck event or planting a tree in their honor. The sky is the limit! 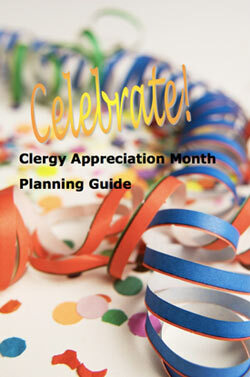 To help you in this process, Focus on the Family has developed the Clergy Appreciation Month Planning Guide. 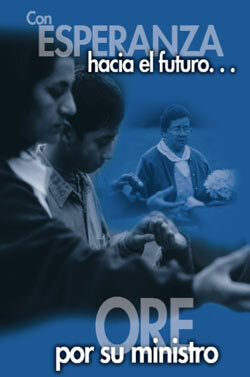 English and Spanish versions are available for you to download below.